Mike Moore | The Journal Gazette Lines of cars drive slowly around Franke Park enjoying the holiday lights during Fantasy of Lights near the Fort Wayne Children's Zoo before Christmas. A popular Fort Wayne holiday attraction is ending tonight with a gift to visitors – Pay What You Want Night. Blue Jacket announced the Fantasy of Lights promotion this morning along with news the drive-through attraction achieved record-breaking attendance in its 24th season. An estimated 109,000 people in 21,777 cars visited the holidays lights display in Franke Park, up from the previous record 20,680 vehicles set in 2017. Brad Saleik, Blue Jacket's marketing director, said organizers are thrilled with the turnout and are blessed the event has become an annual holiday tradition for many community members. This year, Fantasy of Lights was the setting for three marriage proposals and a military father and husband's surprise return home, Blue Jacket reported. "… The stories that were shared with us throughout the year blew us away," Saleik said in a statement. "Moments that are so intimate in the lives of some of these people that we were allowed to share. It's special, just like the event." 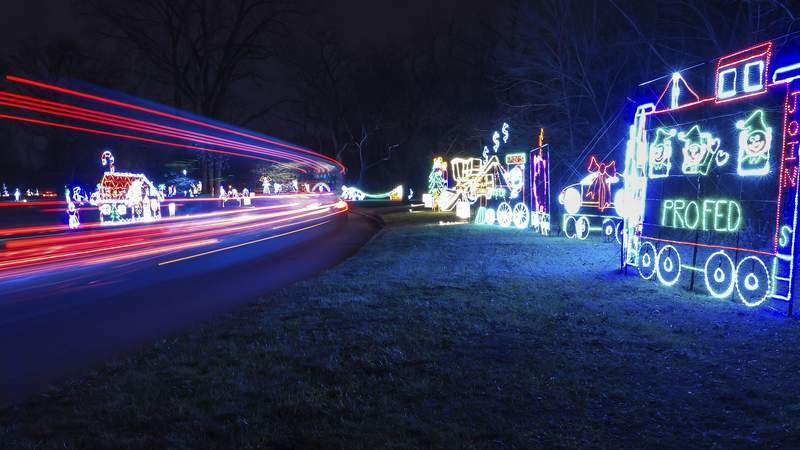 Fantasy of Lights will be open from 6 to 9 p.m. at Franke Park.